A behind-the-scenes look at the joys and challenges of designing a PS VR platformer. 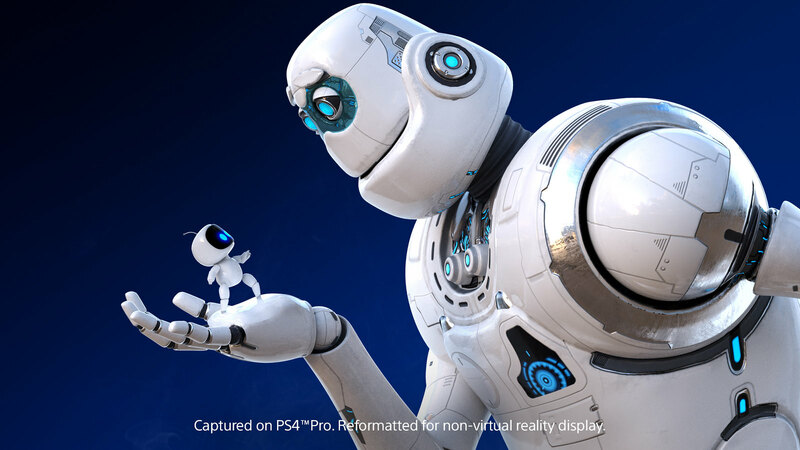 Hi PS VR fans! 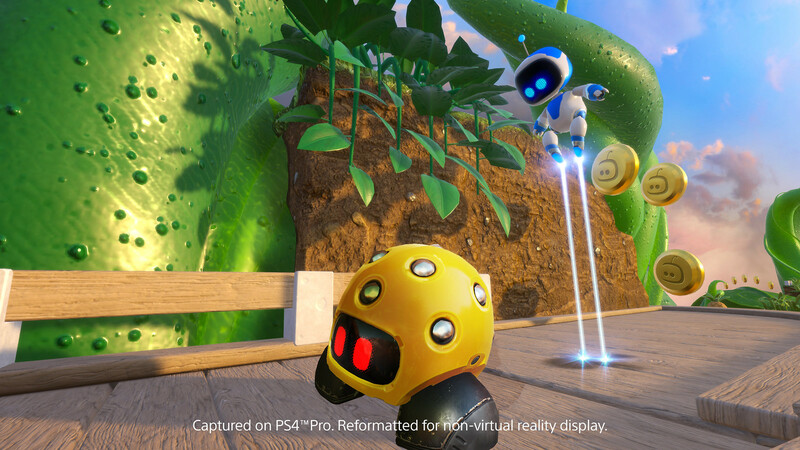 I’ve got some good news… Astro Bot Rescue Mission has gone gold and is being readied to launch on October 2, exclusively on PS VR! We’re super excited about this game and have packed in lots of content for you. There are 26 levels ranging from city, sky, water and fire stages, epic bosses to beat (including a memorable final boss battle), a range of challenge stages, collectibles and loads of extra replay value. We can’t wait to see what you think! As we get closer to launch, we wanted to tell you some more about the development of the game before you get the chance to play for yourselves. 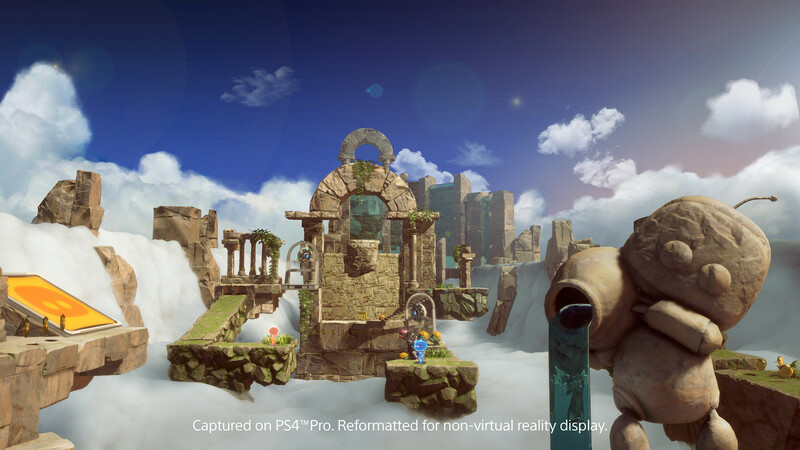 One of our goals was to take classic platforming to new heights; this was made possible thanks to the unique capabilities of PS VR. I took the opportunity to sit down with Gento Morita, our Lead Designer and Sebastian Brueckner, our Art Director to discuss what makes Astro Bot level design different from classic TV platformers. This video gives you a unique behind-the-scenes look at some particular aspects of Astro Bot Rescue Mission that we are especially proud of. We talk about how we created 360 gameplay in VR while keeping the experience comfortable, and how moving your body gives you a unique perspective, letting you interact with the scenery and your location more fully. 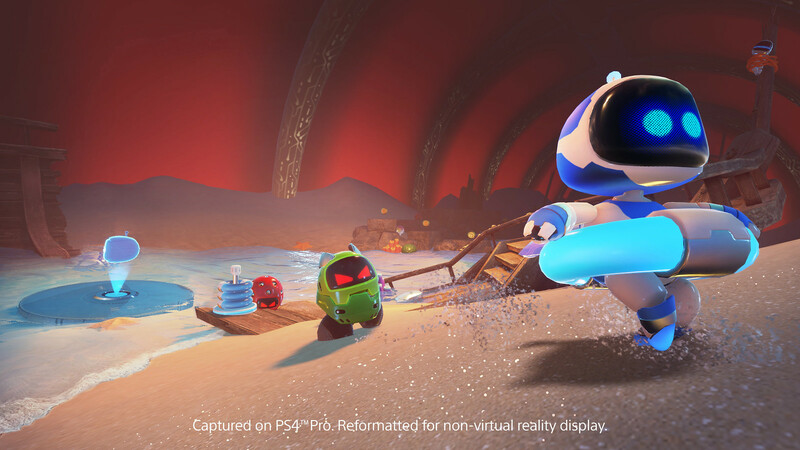 You can now pre-order Astro Bot Rescue Mission physically or digitally. By reserving your copy you will be able to play as soon as we launch, get the full game soundtrack (courtesy of PlayStation veteran Kenneth C.M. Young) and a specially-created dynamic theme. So that’s it from me for now, stay tuned as we will be back soon with even more behind-the-scenes footage of the ASOBI! 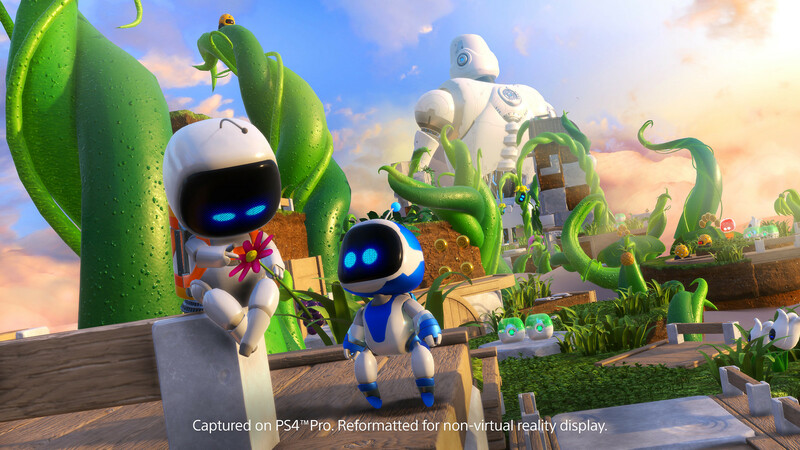 Team and more information about Astro Bot Rescue Mission. Please tell me Sackboy makes a appearance?! Or DLC? Imagine a online co-op level with these two? Would be cute and awesome at the same time. What is the average length of gameplay in hours the first time through? Looks good and can’t wait to try it out…! Will the physical pre-order include a voucher for the original soundtrack or is that locked to digital pre-orders? Thanks for answering my question! ?